We promised we’d post a follow up about our Warby Parker adventure, so here it is! If you’re not familiar with Warby Parker, you need to be. The company’s mission is twofold: to provide stylish, affordable glasses and to give a pair to someone in need whenever a pair is purchased through their website (Read more about their philosophy and business model here). Based out of New York City, the company sells eyewear directly to customers through their website to keep the prices low. But if you live in Nashville, Atlanta, Dallas, LA, or San Diego, there’s good news. The Warby Parker School Bus is coming to you! What is this school bus, you ask? WP staffers are currently traveling cross country on a tour called the Warby Parker Class Trip (#wpclasstrip for you instagramers and tweeters). 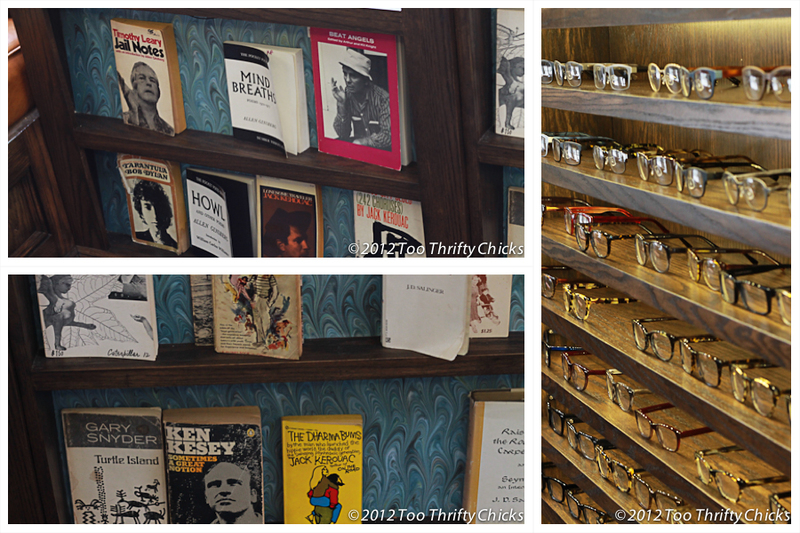 They’ve taken a school bus and converted into a comfortable, unique showroom for their eyewear. Complete with a map of their trip, an old school radio, mirrors galore, and comfortable seating (the original seating was gutted), the WP bus is pretty awesome. The bus will stop in each of these cities for a couple weeks, spreading the word about WP eyewear and building community with the folks who visit the bus (check out the schedule here). When the bus came to D.C., A. Reese first went alone while M. Ricks battled the sniffles. She spent about an hour on the bus, trying on several frames and just hanging out with Phineas and the other staffers. Of course it was only right for R&R to return together….and look fabulously stylist during the visit. A. Reese wanted to create a somewhat androgynous look for the day. Honestly, she’s somewhat obsessed with bowties and just wanted a reason to wear one. 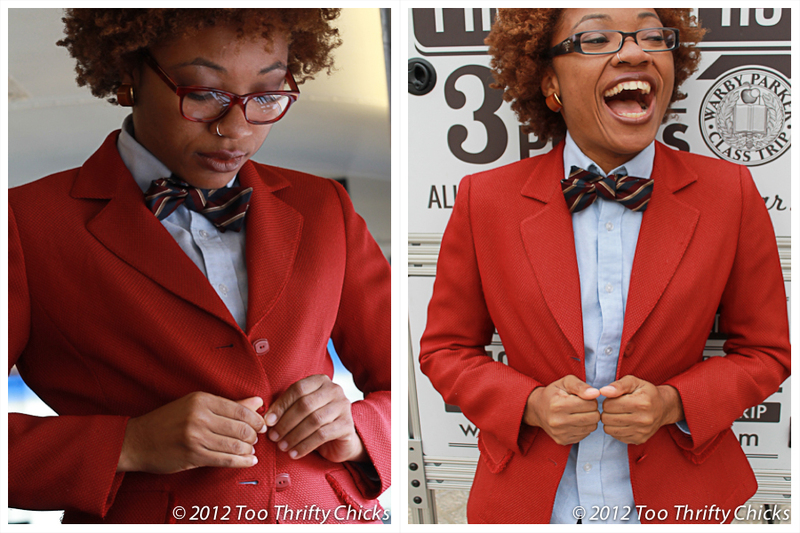 🙂 Here she’s wearing a red thrift blazer ($5.00), a wrinkle-free button down found in the boys’ section of a thrift store ($1.50), and a burgundy, blue, and gold striped bowtie ($1.00) paired with jeans. The frames she’s wearing on the left are from the Warby Parker collection. 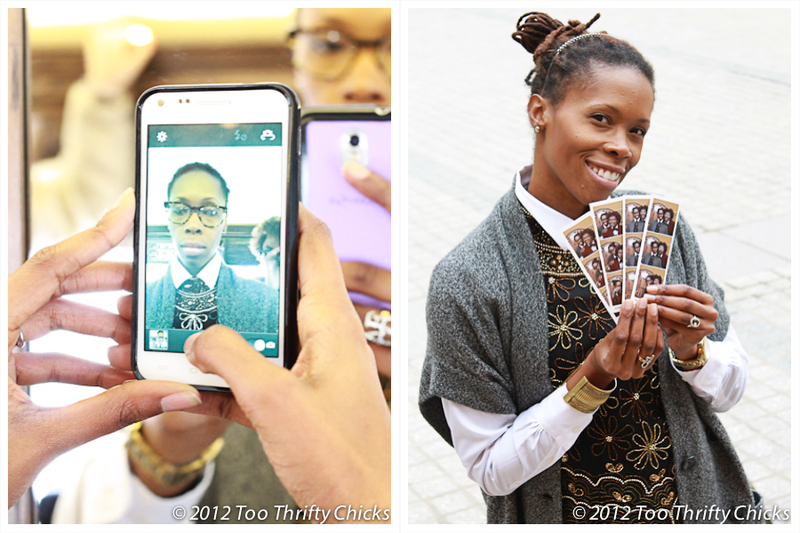 Awesome shot of M. Ricks taking a pic of herself trying on frames. We’re serious about our eyewear. We think we like these! Did we mention that the bus is equipped with a photobooth? M. Ricks shows off our fun photos. These are hands down some of A. Reese’s favorite shots from the day. M. Ricks poses near the WP photo booth. Photos converted to black and white to give an old school feel. Full shots of M. Ricks’s outfit from her post about wearing this top in the day time. Who says you can’t wear sequins during the day? Great outfit that can easily go from day to night. Work in a more conservative environment? Trade the turquoise tights for dark ones or a suit. Sequin top was free. 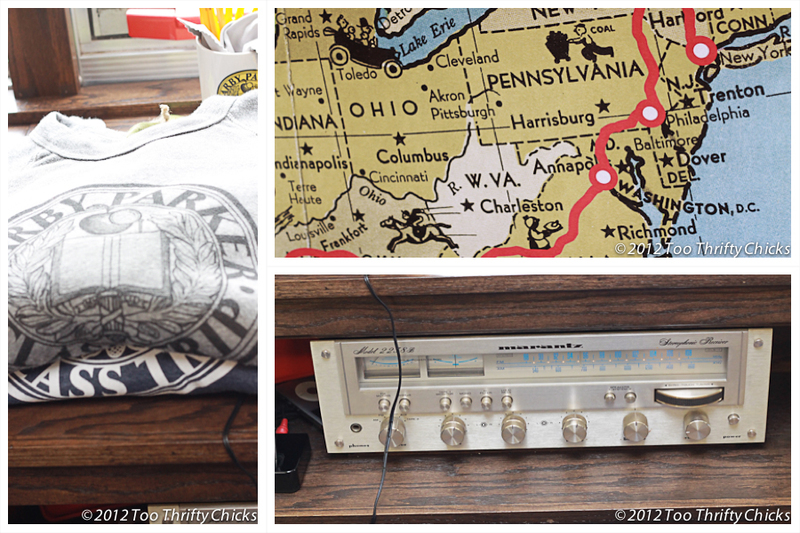 We had a blast on the WP bus–so much so that we took way more pics than we could include in these collages. We’ll upload the others to our youtube channel later, so stay tuned. If you’re in Nashville,ATL, Dallas, LA, or San Diego, get on the bus! WP is a cool company and the staffers are cool too. 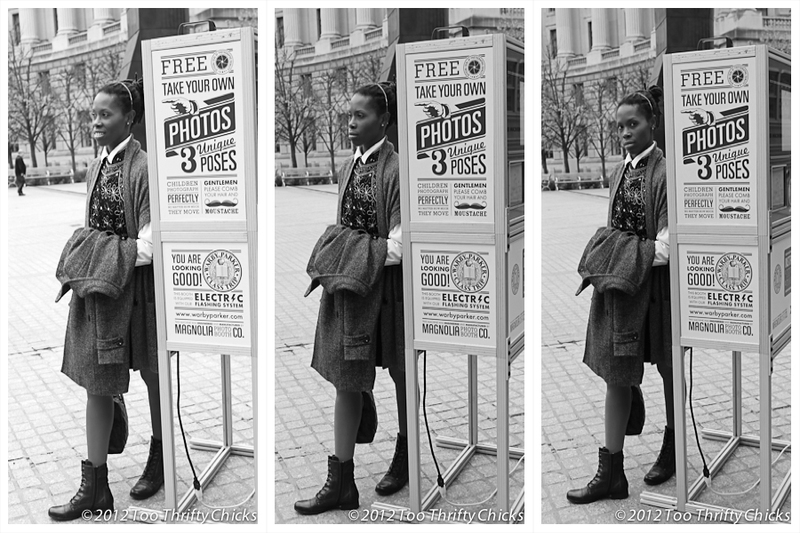 If you’re not in one of those cities, you can alway browse the website or try on frames at home for free. Check it out: http://www.warbyparker.com. 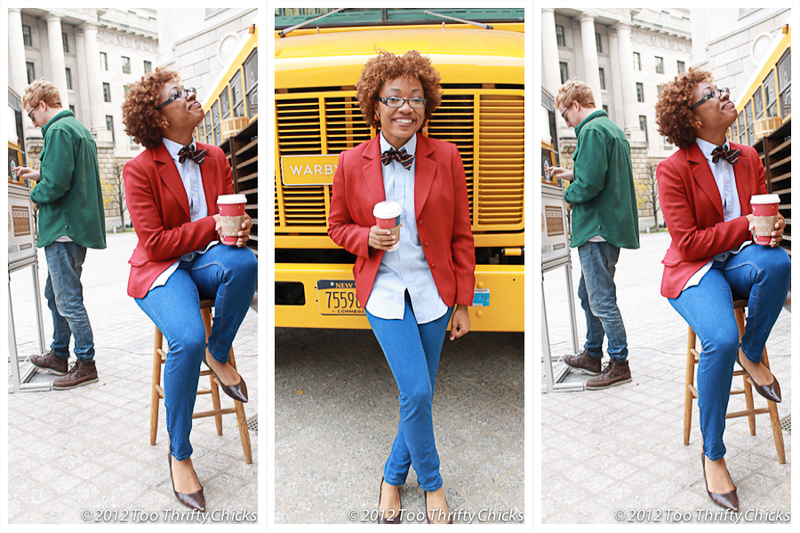 Categories: Uncategorized | Tags: #wpclasstrip, outfit of the day, styling | Permalink.